Arizona Green Chamber of Commerce - Lunch and Learn with Dr. George Brooks Jr. Lunch and Learn with Dr. George Brooks Jr. Going Mainstream: The Power of Aquaponics to do great things! When sustainable solutions are applied to real world problems, great things can happen. In its new general plan, the city of Phoenix determined that sustainable, secure and affordable sources of healthy food are necessary for the city’s future prosperity. Supplying food to feed America’s six largest city is a big challenge and one powerful way to do it is through aquaponics. Aquaponics (AP) harnesses designed aquatic ecosystems to produce fish, prawns, vegetables and fruit. But AP is about more than growing healthy food. Through aquaponics and other urban agricultural methods, backyards can be transformed to food forests, food deserts can be eliminated and children can be fed. It can drive the creation of a circular economy that will reduce waste, conserve water, enhance STEAM education, improve health and wellness, build new businesses and empower existing institutions to create jobs. A visionary, thinker, doer, environmental, economic, transformational, thought and political leader, he is the Founder, President & CEO of NxT Horizon an AgTech consulting firm that grows powerful, cost effective sustainable solutions that empower their customers and serve the needs of mankind in the areas of healthy food production and bioenergy. An expert on urban aquaculture (aquaponics), he is also an active contributor to Green Living Az magazine and Aquaculture magazine. He is a past member of the Central Arizona Project (CAWCD) Board of Directors and was the first Executive Director of the Arizona Commission on African American Affairs for then Arizona Governor Janet Napolitano. Vice President of the Phoenix Green Chamber of Commerce he also serves as Vice Chair of the leadership team for Phoenix Arizona new general plan and is Vice Chair of the South Mountain Village Planning Committee part of the city of Phoenix Planning Commission. 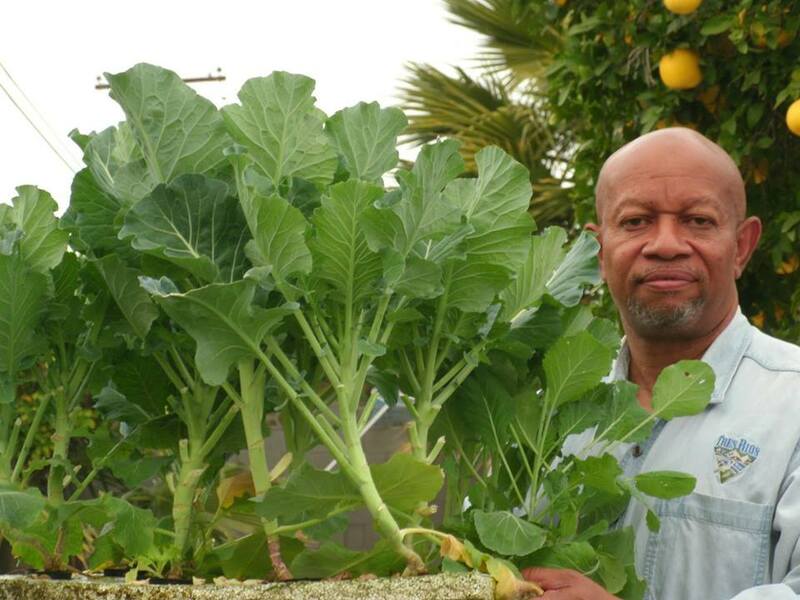 He also teaches aquaponics as part of the Center for Urban Agriculture at Mesa Community College. He is a member of the Board of the Aquaponics Association and a co-chair of the upcoming national conference in Austin TX and a member of the Board for America’s Tilapia Alliance. He holds an earned Ph.D in Wildlife and Fisheries from the School of Renewable Natural Resources, College of Agriculture at the University of Arizona, Tucson.